It is with regret that we advise members that long time WRC member Alan G0HBC, passed away on Friday 5th of January 2013 at the age of 90 years. He will be greatly missed by his wife Rosemary and his three sons and family and friends. Alan was a very active member of the club from the early eighties until the late nineties when hearing problems forced him to give up amateur radio. Alan generously donated his radio equipment to the club a short while later and this was sold to support club funds. Alan was born in Plaistow, East London on 2nd November 1922. When he left school he became a tool maker and worked for the famous tool company, Buck and Hickman in London, eventually, as a Sales representative. 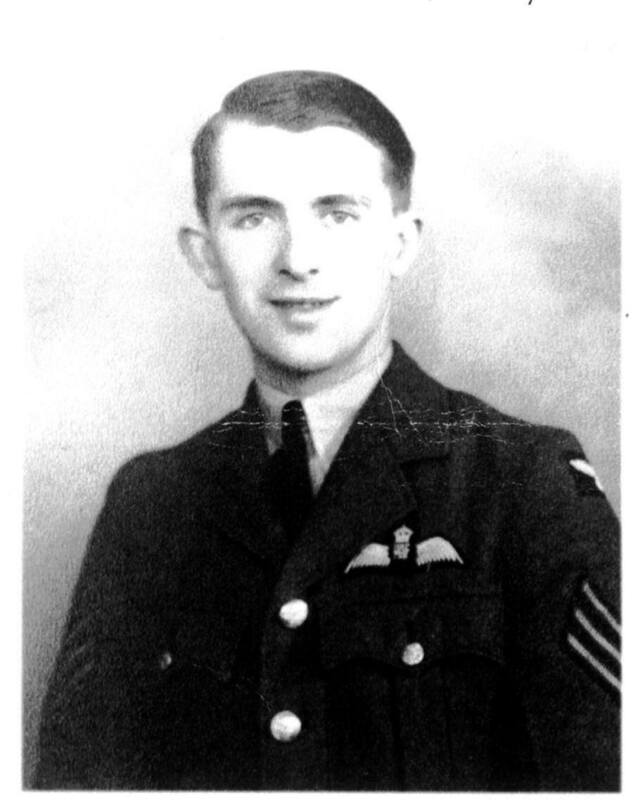 Alan joined the RAF as soon as he was able and served as a flight sergeant flying Hurricanes with 20 Squadron RAF. War service took him to the Far East in 1943 and it was whilst flying over Burma, on 24th February 1944, attacking Japanese forces that he was shot down when machine gun fire damaged his engine. He was forced to land on a swampy island on the Mayu River, North of Akyub in Burma. He was taken into captivity by the Japanese and imprisoned in Rangoon Jail and had a very tough time. Alan spent just over one year as a POW, and with the Allies closing in on Rangoon, the Japanese guards left and they were looked after by local Burmese guards whom the Japanese had seconded for the job. With the allies getting ever closer, conditions and food for the prisoners improved dramatically. Alan was finally liberated on the 3rd May 1945 and was shipped back to Calcutta by ship the next day. Eventually he found his way back to the UK. After the war came demobilisation and Alan met Rosemary and in 1949 they married. Alan went back to his old job at Buck and Hickman in London. Later on B&H asked Alan if he would like to transfer to their Birmingham branch as a Sales Representative which Alan agreed to and the family moved to Shirley. Alan spent some time in America learning the about new machines that B&H sold in the UK. In the late seventies Alan became interested in CB and had the handle Goliath. CB on FM became legal in 1981 and that year he joined the Wythall Radio Club, which was a CB club and had started that same year. Eventually Alan got his B licence and went on to become an A licence holder around 1987. He was G0HBC. Alan had a great interest in homebrew and when the club started home brew projects in 1988, Alan was keen to have a go. We started off with a simple 40m CW single transistor tx which Alan modified and added to, to eventually end up with a QRP SSB TX. 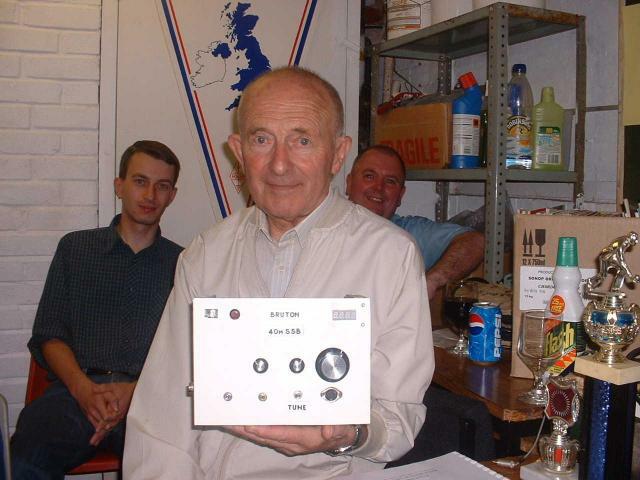 He is pictured with his BRUTON 40m SSB transmitter. 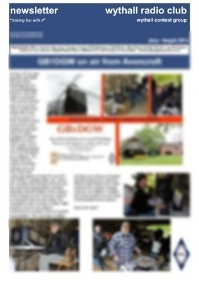 Alan was active in many of the clubs projects including the building of the Versatower at the back of Wythall House. Alan and Rosemary moved to a second floor maisonette in the late 80’s and Alan was restricted for antenna space but he managed to fit a long wire from his back bedroom to a pole fitted to the garages at the bottom of the garden and also built a couple of indoor antennas, including a 6m or 10m loop which was in the bedroom with him. Alan did have a problem with deafness and wore a hearing aid for all the time that he was a club member. Eventually this condition worsened and we even looked at providing some kind of loop in the shack so that Alan could pick up what was being said to him. However his hearing got so bad that he decided that he could no longer visit the club. After a couple of years, and in recognition of his service to the club, he was made an honorary member. Eventually Alan’s deafness meant that he could not enjoy his hobby any more so he gave it up and donated his equipment to the radio club for club funds. Alan was a kind gentleman, who served his country, his family and his church, as well as Wythall Radio Club. We are proud to have known you Alan. Thank you and RIP.